We are excited to introduce VMmanager 6 beta, a new virtualization control panel for hosting providers and developer teams. To evaluate its features you can use your own server or get a free server from Selectel, one of the popular dedicated server providers. 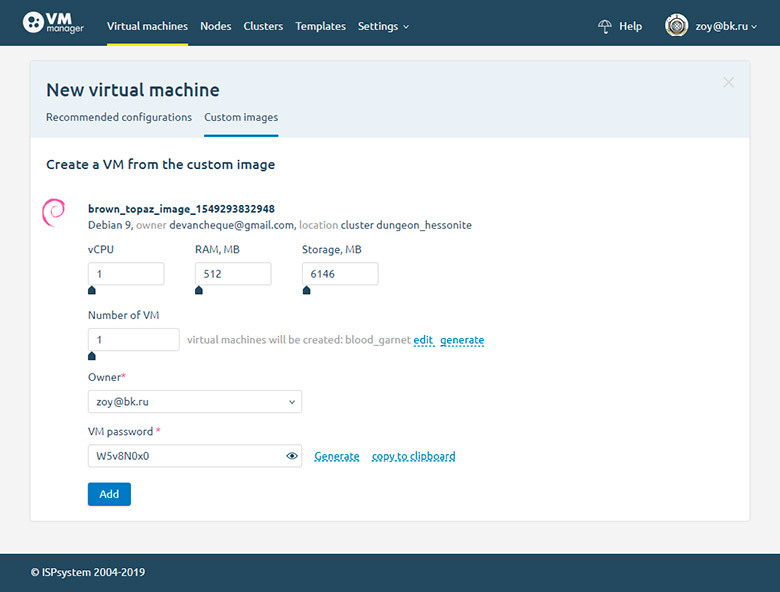 The solution we are introducing today is a SaaS version of VMmanager 6. Unlike the On-premise solution, you don’t need to install it on a server. VMmanager 6 On-premise will be released later. Learn more about VMmanager 6. Sign up to test. To test the panel, sign up and add a dedicated server. Use a freshly-installed server with CentOS 7 x64, Internet access, and a public IP address. Send your feedback to help@ispsystem.com. If you don't have a server. Selectel can offer you a dedicated server for testing VMmanager 6. You can use a server for free for 2 days. To get a server, please contact us at my.ispsystem.com or write to our Live-chat at the website.